The ultimate in easy comfort food, the baked potato, with crispy skins piled high with delicious toppings, is a perennially popular dinner. Piled-high Potatoes includes not only the best classic potato fillings but also new and creative ways to elevate the simple spud to a dish you could happily serve for family and friends. There are Veggie toppings such as Three Bean Vegan Chilli with Charred Corn or Mushrooms and Tofu with Miso Dressing. Recipes from the Fish chapter range from Mackerel and Horseradish to Maryland Crab. Meat Feasts include Steak and Grilled Cheese or Bacon, Brie, and Cranberry or try International toppings such as Tzatziki with Roasted Beets and Mint or Saag Paneer with a spiced potato rub. Finishing off with Beyond Baked there’s a Giant Hasselback Baked Potato or Florentine eggs baked in skins. 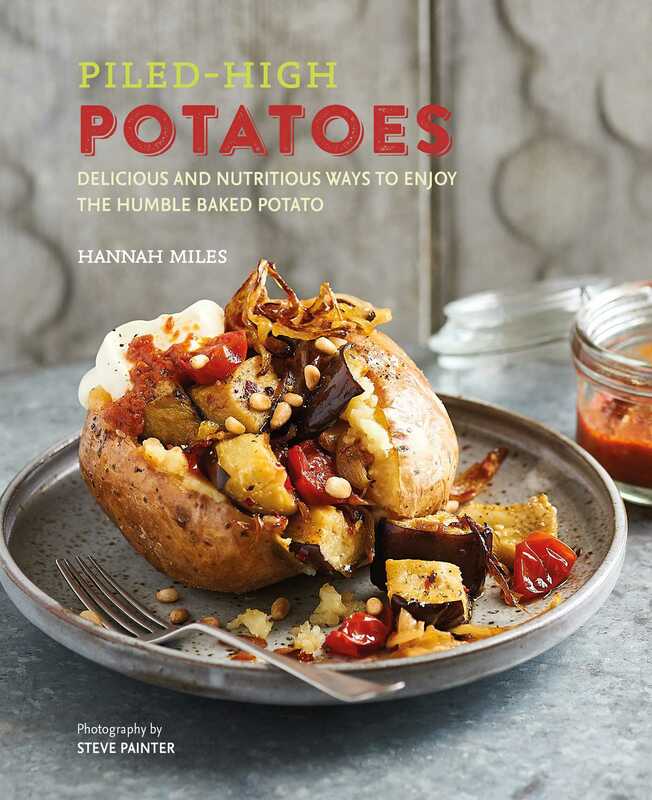 Whether you are eating on your own or cooking for friends, this book contains every baked potato recipe you will ever need.